Common Knowledge is back, baby!!! 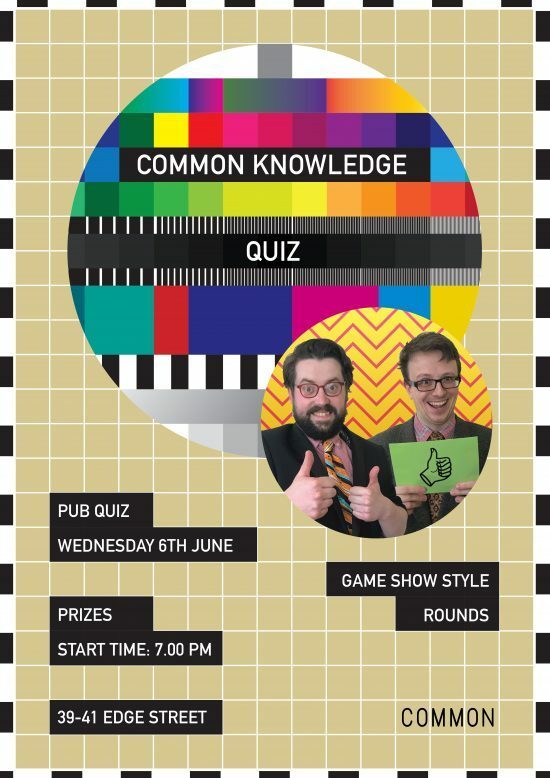 !111 Your new hosts John and Alan are going to be bringing your (or your dad’s) favourite quiz shows to Common for the first time ever. A couple of regular quiz rounds to start with (think general knowledge and picture rounds), before we go fully game-show. We’ll have a Family Fortunes style round where teams have to guess the most popular answers from a survey conducted in Common! Expect a special game-show style round, either played at your table or with a nominated player from each team. To start with, we’re going Blockbusters! And to finish off the game, lucky winners will get to spin our patented “DISC OF FORTUNE!” For a chance to win one of our fabulous prizes!